Indianapolis, Ind. – Katz, Sapper & Miller LLP is joining forces with Habitat for Humanity of Hamilton County to take part in a week-long blitz build rehab project of an existing home in Noblesville, Ind., Oct. 22-26. As part of the accounting firm’s annual community service project, the rehab is the first of its kind for any Habitat for Humanity U.S. affiliate, with more than 200 Katz, Sapper & Miller employees helping to build, renovate and repair the home in just five business days. The home, located at 1340 South 8th Street in Noblesville, was acquired by Habitat for Humanity of Hamilton County through a partnership with the Noblesville Housing Authority and the Hamilton County Commissioners. Kick-off of the week-long blitz build rehab project will take place on Monday, Oct. 22 at 8:00 a.m. at the home site with opening remarks by Resnick, Cecil and the homeowner partner family. The build will continue each day (Monday, Oct. 22 – Friday, Oct. 26) from 8:00 a.m. – 5:00 p.m.
As one of the top 100 CPA firms in the nation, Katz, Sapper & Miller, LLP provides tax, accounting and consulting services to a wide range of clients throughout the U.S., from start-up and middle-market companies to multi-million dollar corporations. Founded in 1942, the firm has more than 250 employees and is headquartered in Indianapolis. KSM was named one of the “Best of the Best” accounting firms in the nation by INSIDE Public Accounting magazine and has been recognized by the Indiana Chamber of Commerce as one of the “Best Places to Work in Indiana” for seven consecutive years. KSM is committed not only to the clients we serve, but to the communities in which we live. Community outreach begins with our partners and staff, who dedicate time and resources to hundreds of organizations. Additionally, our annual, firm-wide volunteer day of community service encourages our employees to join us in volunteering their time to benefit an area in need. For more information, visit ksmcpa.com. Habitat for Humanity of Hamilton County, Inc. is an ecumenical, nonprofit Christian organization that is dedicated to working in partnership with families in Hamilton County under the conviction that every person should have a simple, decent, affordable place to live in safety and dignity. Established in 1990 as an affiliate of Habitat for Humanity International, we are guided by the covenant that we work with community organizations, donors, volunteers and our partner-family-homeowners to build affordable housing for those in need. For more information, visit habitathamiltoncounty.org. Indianapolis, Ind. – The certified public accounting firm of Katz, Sapper & Miller LLP is pleased to announce the promotion of three new directors – Peter Buck, Joshua Malarsky and Shaun Tipton; and nine new managers – Kinsey Arnett, Ashley Christie, Matt Gard, Justin Hayes, Tiffany Hernandez, Karen Hill, Daniel Larson, Zeeshan Malik and Lee Schreyer. Pete Buck is a director in the firm’s Audit and Assurance Services Department and a member of the Not-for-Profit and Governmental Services Group. Pete provides accounting and consulting services in an array of industries, including not-for-profit, government, hospitality and insurance assisting clients with financial statement audits and reviews, and consulting. Josh Malarsky is a director in the firm’s Real Estate Services Group. Josh provides accounting and tax services for clients in a variety of industries, with a specialization in the real estate field. He has advised on numerous transactions, including sales and purchases of retail, commercial, and residential real estate developments, historic and new markets tax credit projects, and real estate investment trusts structure and compliance. He is also part of the firm’s Aviation Services Group and works with like-kind exchanges, income tax planning, and structuring related to privately held aircrafts. Josh serves on the firm’s Community Outreach Committee, Recruiting Committee, and Mentoring Committee. Shaun Tipton is a director in the firm’s Business Advisory Group. He works with numerous clients and advises them in tax planning, consulting and other business and accounting services. Shaun is responsible for the preparation and review of financial statements and tax returns. Additionally, he serves on the firm's Transportation Services and Dealership Services Groups. Kinsey Arnett is a manager in the firm’s Tax Department. Kinsey provides consulting services to a diverse clientele on technical tax matters. Her primary responsibilities include analytical research and technical review of federal tax issues. She also provides tax preparation and planning services to clients in the areas of individual taxation, international taxation, trust and not-for-profit taxation. She has experience with all types of entity taxation as well. Ashley Christie is a manager in the firm's Real Estate Services Group. Ashley is responsible for preparing client financial statements, tax returns, business plans as well as providing other general business and accounting services. Additionally, she is a participant in the firm’s Recruiting and KSM Bright Ideas committees. Matt Gard is a manager in the firm’s Audit and Assurance Services Department. Matt’s primary responsibilities include auditing and reviewing financial statements as well as advising clients on accounting, reporting, compliance and internal control-related matters; he is also involved in the preparation of financial statements. Matt’s main areas of focus are transportation, and manufacturing and distribution. Justin Hayes is a manager in the firm’s Audit and Assurance Services Department. Justin’s primary responsibilities include auditing and reviewing financial statements as well as advising clients on accounting, reporting, compliance and internal control-related matters; he is also involved in the preparation of financial statements. His main areas of focus are manufacturing, wholesale and distribution and real estate. Tiffany Hernandez is a manager in the firm’s Healthcare Resources Group. Tiffany’s background includes providing accounting, tax and assurance services to a wide variety of businesses, including healthcare clients. She offers experience in the areas of financial statement analysis, tax planning and tax compliance, including business tax, individual tax, trust taxes and gift tax. Additionally, Tiffany has previous management experience in the hospitality industry. Karen Hill is the firm’s recruitment manager. Karen has been with the firm since 1993. She oversees all internal recruiting efforts for campus hires and experienced staff. Daniel Larson is a manager in the firm’s Business Advisory Group. Daniel provides financial advice and aids clients in the management of their businesses. He is also responsible for the preparation and review of client financial statements and tax returns, in addition to aiding clients with tax planning, consulting and other business and accounting services. His main areas of focus include transportation, dealerships, veterinary practices and real estate. Zee Malik is a manager in the firm’s Audit and Assurance Services Department. Zee audits and reviews financial statements and advises clients in accounting, reporting, compliance and internal control matters. His main areas of focus are transportation, construction and financing. Lee Schreyer is manager in the firm’s Audit and Assurance Services Department. Lee’s primary responsibilities include auditing and reviewing financial statements as well as advising clients in accounting, reporting, compliance and internal control matters. He has experience in a number of industries, including real estate, manufacturing and hospitality. Indianapolis, Ind. – The certified public accounting firm of Katz, Sapper & Miller LLP has been named to INSIDE Public Accounting’s (IPA) Best of the Best Firms list for 2012. Katz, Sapper & Miller was one of 50 firms selected among hundreds of firms that participated in the publication’s 22nd annual survey and analysis of accounting firms. Firms are judged on their superior management and operational performance, which is based on more than 50 criteria. This year’s “Best of the Best” firms range in size from $5.3 million to $401.8 million and represent all regions of the country. Katz, Sapper & Miller is the only Indiana-based firm to receive this year’s recognition. According to IPA, these honorees were able to excel within an economic environment that has taken its toll on all firms nationwide. As one of the top 70 CPA firms in the nation, Katz, Sapper & Miller has earned a reputation as a leader in the areas of accounting, tax and consulting services. Founded in 1942, the firm has more than 250 employees and is headquartered in Indianapolis, Indiana. Katz, Sapper & Miller was named one of the “Best of the Best” accounting firms in the nation by INSIDE Public Accounting and has been recognized by the Indiana Chamber of Commerce as one of the “Best Places to Work in Indiana” for seven consecutive years. The firm is an independent member of Nexia International, a leading global organization of independent accounting and consulting firms. For more information, visit us at ksmcpa.com. Indianapolis, Ind. 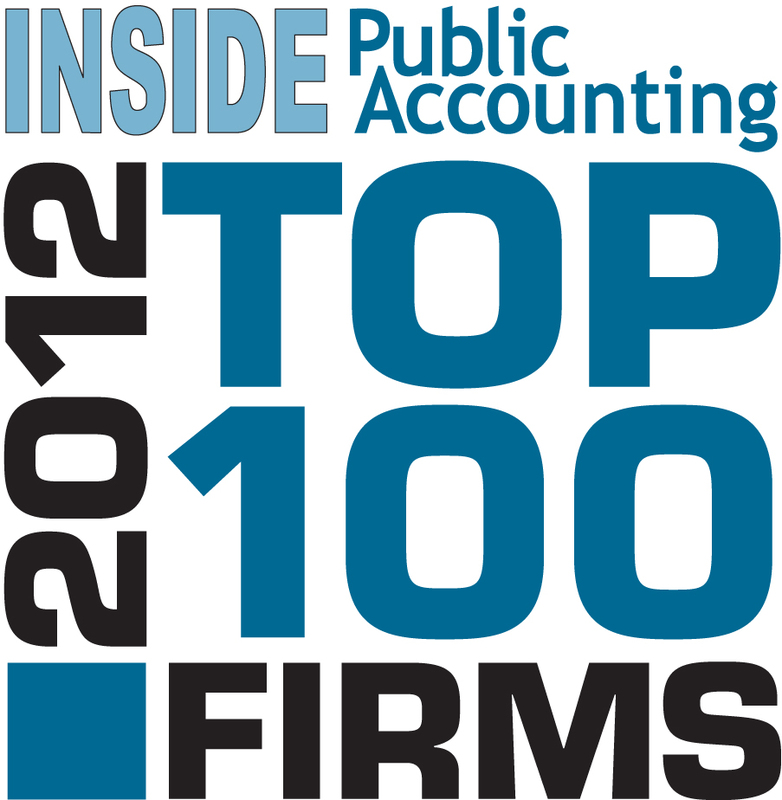 – The certified public accounting firm of Katz, Sapper & Miller LLP has been named to INSIDE Public Accounting’s (IPA) Top 100 Accounting Firms list for 2012. KSM ranks the 68th largest firm in the nation. The 22nd annual report is the most current snapshot of the financial and operational health of the largest firms, with more than 400+ firms completing the survey. To view the complete list of the top 100 firms, click here. As one of the top CPA firms in the nation, Katz, Sapper & Miller has earned a reputation as a leader in the areas of accounting, tax and consulting services. Founded in 1942, the firm has more than 250 employees and is headquartered in Indianapolis, Indiana. Katz, Sapper & Miller was named one of the “Best of the Best” accounting firms in the nation by INSIDE Public Accounting magazine and has been recognized by the Indiana Chamber of Commerce as one of the “Best Places to Work in Indiana” for seven consecutive years. The firm is an independent member of Nexia International, a leading global organization of independent accounting and consulting firms. For more information, visit us at ksmcpa.com. Indianapolis, Ind. – The certified public accounting firm of Katz, Sapper & Miller LLP is pleased to announce that Victoria Snyder has joined the firm’s Tax Department as a staff accountant. Snyder graduates from the Kelley School of Business at Indiana University-Purdue University Indianapolis with a Master of Science degree in accounting in August 2012. She received her Bachelor of Science degree from the Medill School of Journalism at Northwestern University. As one of the top 70 CPA firms in the nation, Katz, Sapper & Miller has earned a reputation as a leader in the areas of accounting, tax and consulting services. Founded in 1942, the firm has more than 250 employees and is located in Indianapolis and Fort Wayne, Indiana. Katz, Sapper & Miller was named one of the “Best of the Best” accounting firms in the nation by INSIDE Public Accounting magazine and has been recognized by the Indiana Chamber of Commerce as one of the “Best Places to Work in Indiana” for seven consecutive years. The firm is an independent member of Nexia International, a leading global organization of independent accounting and consulting firms. For more information, visit us at ksmcpa.com. Indianapolis, Ind. – The Indianapolis-based certified public accounting firm of Katz, Sapper & Miller LLP (KSM) is pleased to announce that Jamie Ellis has joined the firm as chief of operations and finance. In his new role, Ellis will oversee the finance, human resources, information technology, facilities and general administrative functions of the firm. His experience will help to sustain a strong infrastructure for the firm, further strengthening Katz, Sapper & Miller’s position as a leading provider of accounting, tax and consulting services. 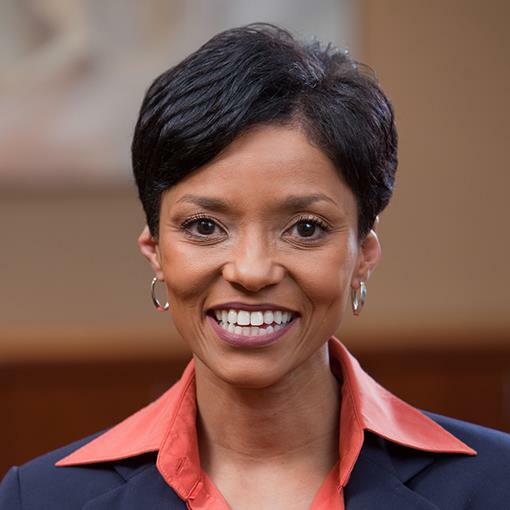 Ellis previously served for eight years as chief financial officer and principal at SC&H Group LLC, a 275-person CPA and management consulting firm headquartered in Sparks, Md. His most recent role was as chief operating officer at Barley Snyder LLC, a Pennsylvania-based law firm. Ellis received his Bachelor of Science degree in accounting from the Pennsylvania State University and later earned his Master of Business Administration degree from Loyola University Maryland. Ellis, who started his career as a public accounting auditor at Ernst & Young LLP, also served as corporate controller for a subsidiary of the national staffing firm Allegis Group. Indianapolis, Ind. - The certified public accounting firm of Katz, Sapper & Miller LLP is pleased to announce that Chad Miller has joined the firm as the leader of its property tax practice. Miller brings more than 12 years of experience in Indiana real estate taxation, including serving as one of the lead real estate appraisers for the Hamilton County Assessor’s office. Miller provides a wide range of real and personal property services including real property tax appeal services for his clients. He frequently advises clients on technical property tax matters, including Tax Increment Financing (TIF) and property tax abatement. Miller graduated from University of Central Missouri with a Bachelor of Science degree in business administration. He is a state-certified Level III Indiana Assessor-Appraiser and holds a certified tax representative certificate.